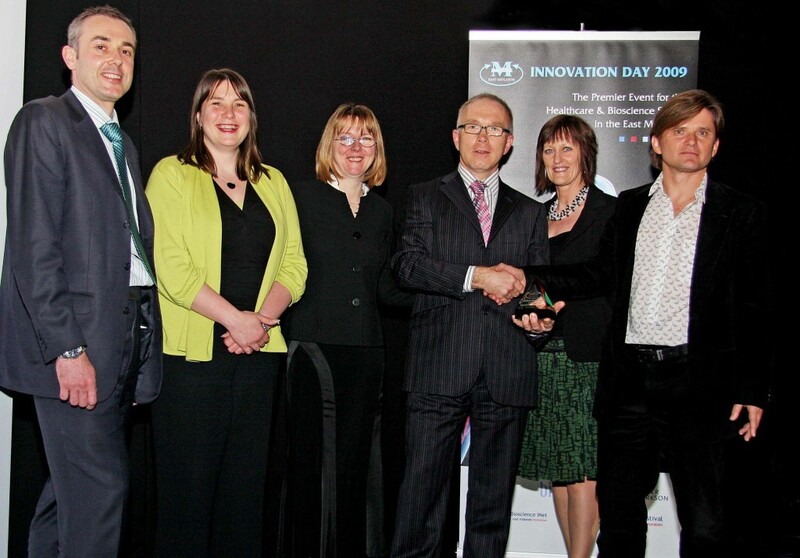 Design Cognition were recently announced WINNERS of the MEDILINK award for the best Start-Up business 2009. The judges said that they had faced some very dificult decisions and that the quality of the entries had been outstanding. We were obviously ‘over-the-moon’ – It’s great to be recognised by others in the industry. Design Cognition have just launched an on-line blog giving you a daily snapshot of current news and views from the world of packaging and beyond. Come and have a look at www.packaging-pulse.com We look forward to seeing or hearing your comments. Enjoy! We are pleased to announce that Anne Dallison, Technical Director of Design Cognition, has just been elected as Fellow of the Institute of Packaging, The Packaging Society – part of IOM3 (The Institute of Materials, Minerals and Mining, enabling her to use the letters ‘F.Inst.Pkg’ after her name. This is a fantastic achievement for Annie, who has worked in the packaging industry for over 25 years, in a number of packaging-related roles. Over the years she has played a proactive role in all of the companies for whom she has worked, extolling the importance of packaging for the success of brands and products. She has also taken a special interest in the changes and impact of the ever-growing demands of legislative and regulatory requirements affecting the Packaging Industry. Her work to minimise the impact of these requirements for the brand image and product appearance has been tireless, whilst at the same time developing robust processes for the application of the changes when necessary. For many years she has been an active member of Institute of Packaging Pharmaceutical Forum (cross-company common interest group) and is representing this group on the BSI and also European CEN Braille Forum. She is also a member of the Pharmaceutical Quality Forum and is involved in the working group for “the development of PS 9000 Pharmaceutical Packaging Materials”. On top of all of this, on a number of occasions, she has received Star Pack and World Star awards for packaging that she has developed along with European and global patents. Well done Annie – keep up the good work! NTT Communications has developed a ‘fragrance communication’ system that makes it possible to send a variety of different fragrances using the internet. The company, which is a subsidiary of Japan telecommunications business NTT, calls the invention the I-Aroma service, and will be product tested in July and August, before it is launched, according to web-based news provider Crunch Gear. Japanese company makes it possible to send fragrances over the internet. Nail varnish that can be switched on or off: The future of color cosmetics? Environmentally friendly pigments that can instantly and reversibly change colour could be the future of color cosmetics, according to researchers in California. Iron oxide particles embedded in microscopic polymer beads can be made to change color with the application of external magnetic fields, according to the team led by Yadong Yin at the University of California. “Unlike many conventional approaches, the instantaneous color change occurs with no change in the structure or intrinsic properties of the microspheres themselves. What changes instead are the magnetic fields acting externally on the orientation of these microspheres,” explained Yin. Nail varnish that can be switched on or off: The future of color cosmetics?. One of the newest players in the naturals market, Korres, intends to build on breakneck growth with new products and by concentrating on its key international market. Despite the current economic turmoil and the resulting consumer downturn, the company recently announced first quarterly sales up 28.2 per cent to €14.5m. The Greece-based company says its success has been down to a strong product portfolio and product mix, which together with tapping into the ever-growing trend for natural-based products, also clues into specific demand for facial skin care products. Greek naturals player Korres aims for international expansion. Smith & Milton will attempt to capture the essence of the fifties after being commissioned to design the packaging for Rupert Sanderson’s first men’s shoe line. When looking at packaging per unit, rather than packaging per tonne – where glass is best, plastics (PVC excluded) comes off quite well and light-weighting is viewed in a more favourable ‘light’ than recycling. Overall the article rcognises that “packaging plays a valuable, often resource-conserving role in the modern distribution of food, beverages and other goods”.